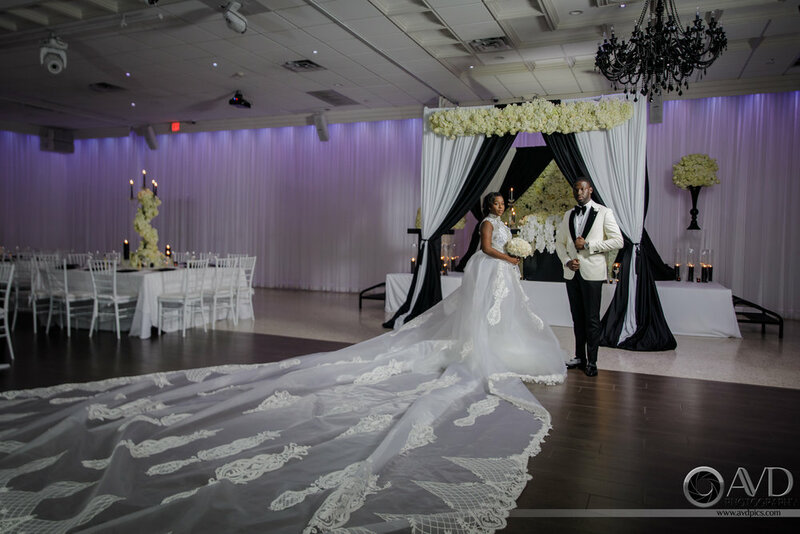 Nadège and Wiz celebrated their wedding in style with a Modern Day Winter Wonderland theme at LAVAN, designed by Tica Rose Events. 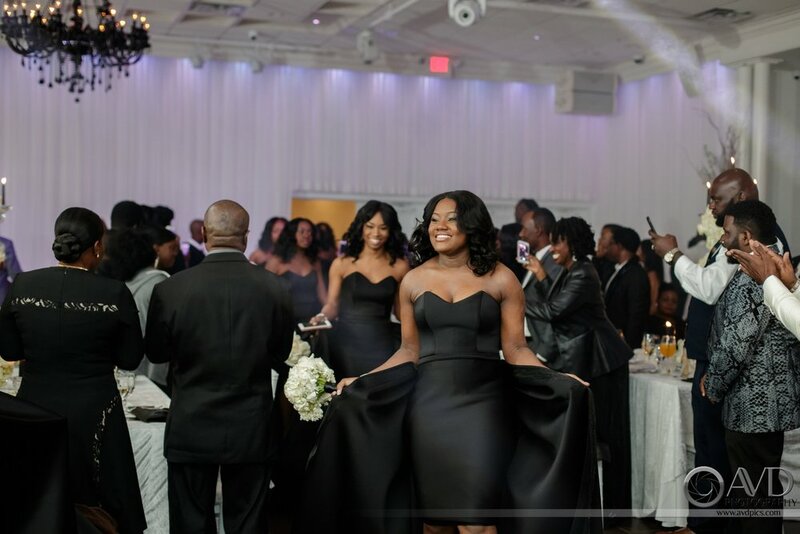 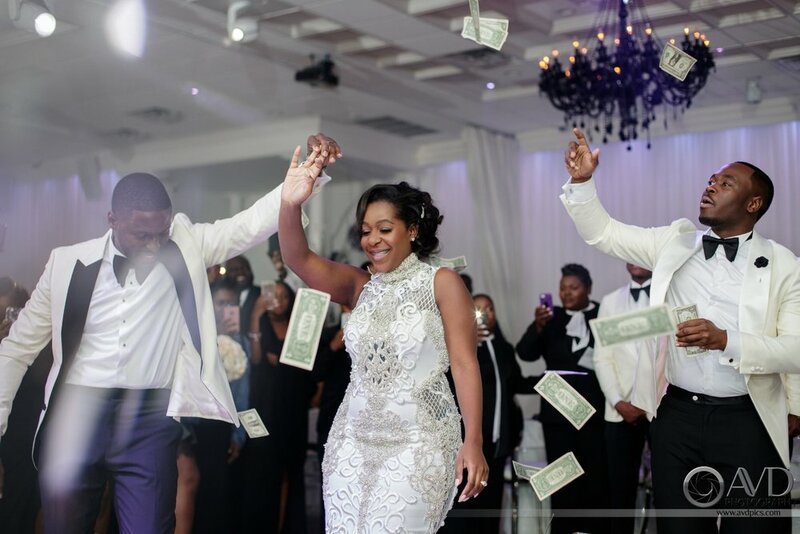 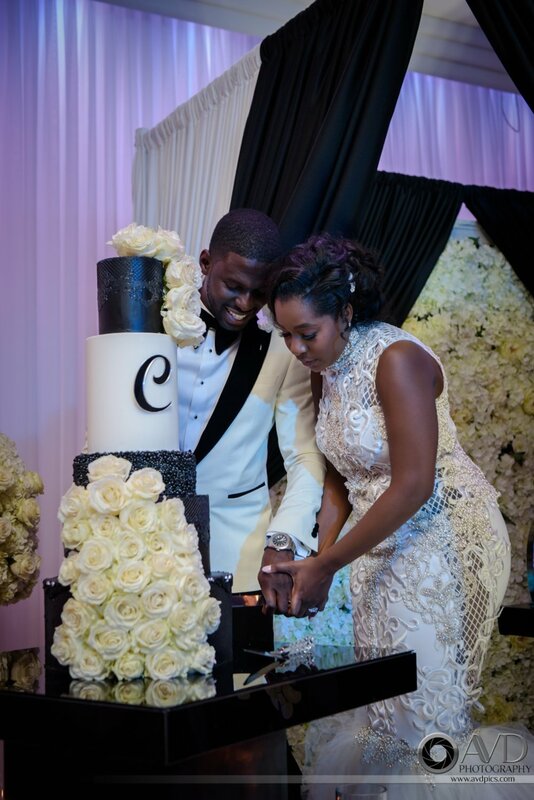 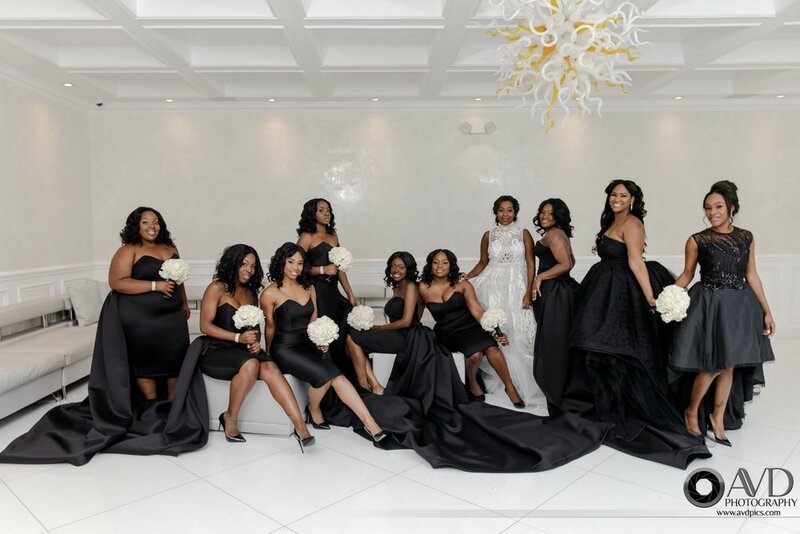 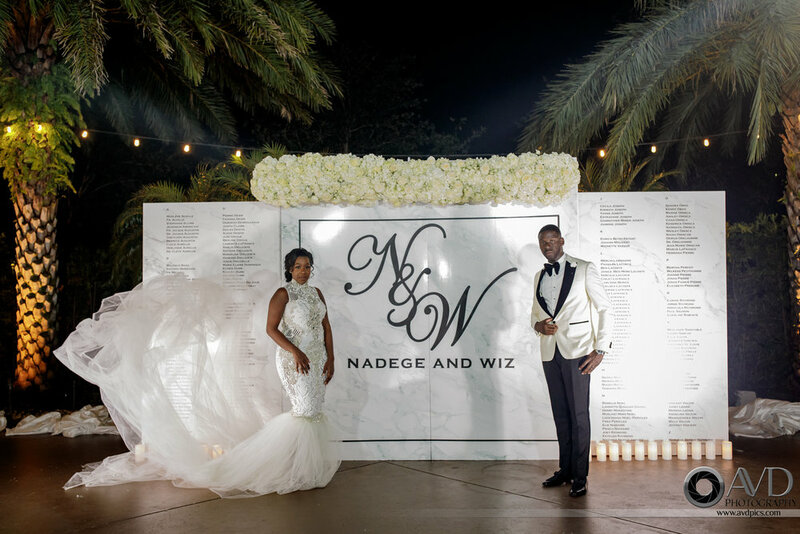 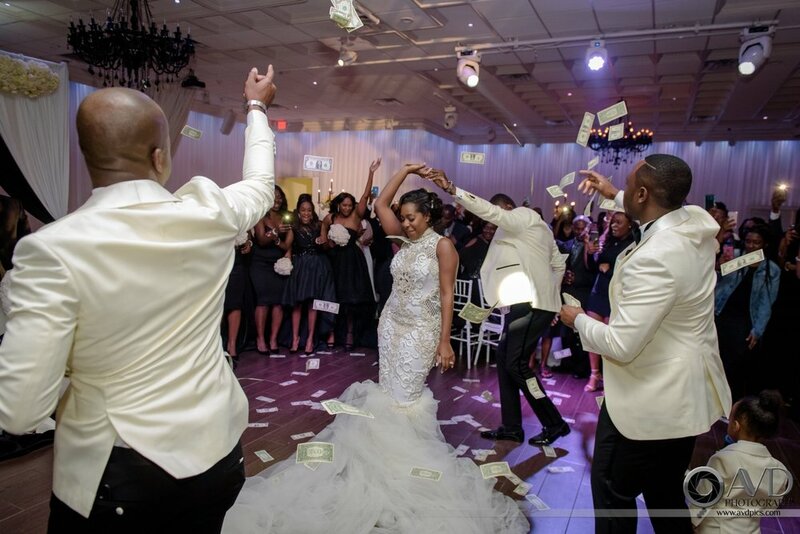 Nadege and Wiz were married at the Coral Ridge Presbytarian Church in Fort Lauderdale on December 10th 2017. 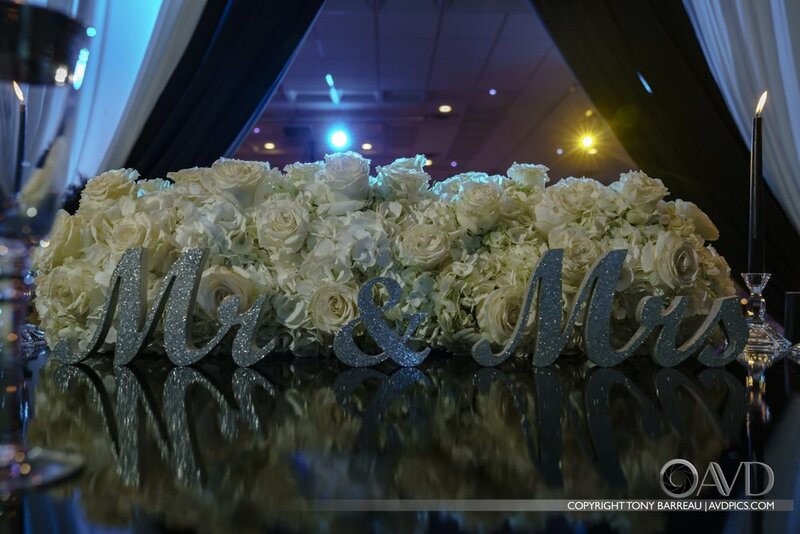 Following the ceremony, the guests arrived at LAVAN where they entered the venue through soft, white drapes. 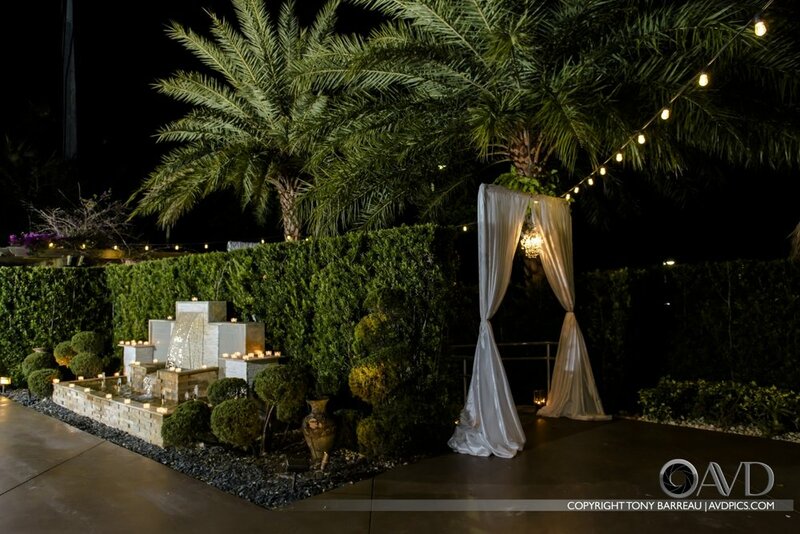 Chandeliers hung throughout the entry passage that led into LAVAN’s courtyard, where a bar and an oversized custom seating chart draped in flowers awaited. 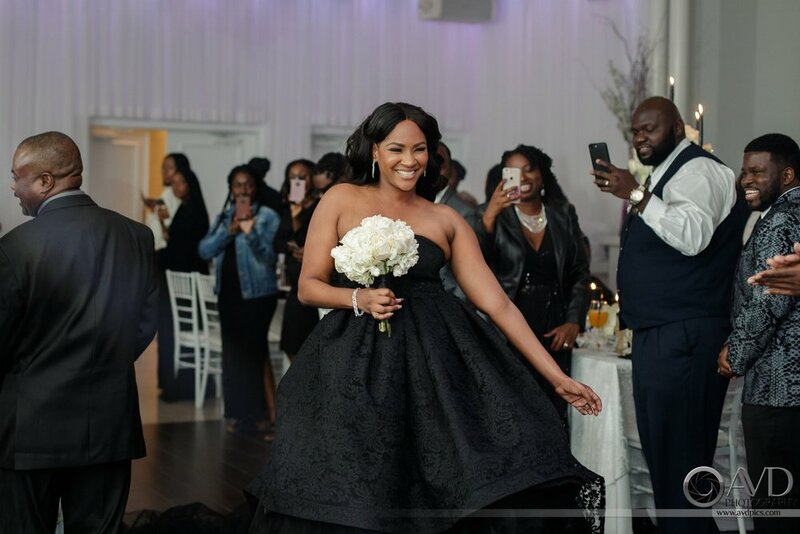 After cocktail hour in the courtyard, guests moved over to the ballroom where oversized black chandeliers were suspended above tables covered in white velvet linens and decorated with crystal candelabras, black candles and white florals. 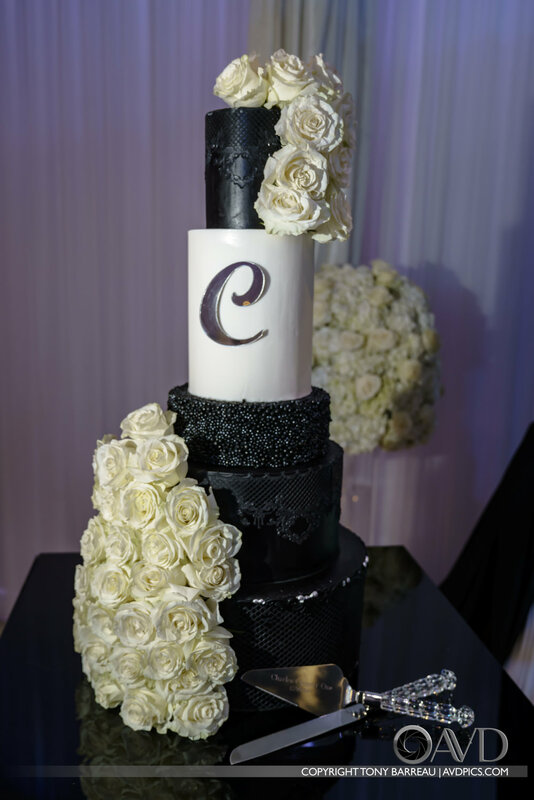 No detail was left unturned; table numbers, chairs, menus, custom glasses and utensils, everything was beautifully coordinated by Tica Rose.